A few years ago only Amoxicillin was used to treat the bacterial infection. But now Amoxicillin and Clavulanic Acid are being used rapidly to treat a variety of infectious disease. Basically, Amoxicillin is among the class of medication like Penicillin which is also used to treat many infectious diseases. Now a day the use of Penicillin is decreasing due to the modern invention. Amoxicillin is a very useful Antibiotic which prevents the development of bacteria in our body. The Clavulanic Acid supports the Amoxicillin for doing its works by stopping those bacteria which destroy Amoxicillin. And at the same time, Clavulanic Acid also destroy some infectious bacteria. Amoxicillin and Clavulanic Acid will not work for any kind of viral infections. The viral infection includes colds, flu etc. If Amoxicillin and Clavulanic Acid are used when it is not needed, it may grow the risk of getting the infection later and it will resist the treatment of Antibiotic. So, be careful before using this drug. The amalgam of Amoxicillin and Clavulanic Acid come to us as in the form of tablets, chewable tablets, syrup etc. The patient has to take it by mouth. To cure the infectious disease the doctor usually prescribed it to take after the meal two or three times a day as per patient condition. Sometimes it is given two times at 12 hour’s intervals and sometimes three times at 8 hour’s intervals. Taking Amoxicillin and Clavulanic Acid at the prescribed time has increased the ability to do its work. So, remember the time when you first take it. In this regard follow the prescription carefully or take proper advice from your pharmacist. If you are taking chewable tablets, you must chew it until it dissolves properly in your mouth. In the case of taking syrup, shake the bottle well before using it. Shaking the bottle very well will mix the liquid properly and evenly. Do not stop taking until you are prescribed to use it. You must finish the course to avoid further infection. It is found that many people stop taking Amoxicillin and Clavulanic Acid or any kind of other medicines while they feel better. It is a very bad habit. Always try to finish the course. Amoxicillin and Clavulanic are also used to treat some sexually transmitted disease which is called STD. If you are going under this situation consult with your doctor. Don’t take it yourself. It may adverse effect in your health. Amoxicillin and Clavulanic Acid are not only used in the above-mentioned case but the amalgam is also used in other diseases. Please, ask your pharmacist or physician for more information about the use of this medication. The above-mentioned side effect may not severe to you if it is growing rapidly. If you feel that your condition is lesser than before, contact your doctor without delay. 1). 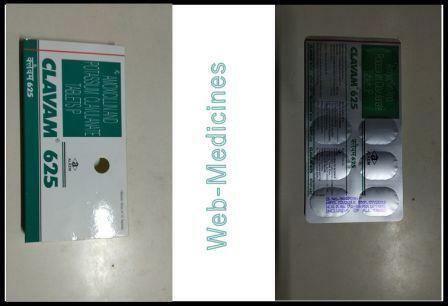 Terrible or severe skin rash after using this medication. 2). Itching in the whole body or some parts of the body. 3). Hives in the body. 4). Breathing problem or feel it difficult to breathe. 6). Itching in the vaginal position and discharge. 7). Skin or the eyes becoming yellowish. These are not the full list of side effects of Amoxicillin and Clavulanic Acid. Some other side effects may also occur to you. It varies from person to person. It is suggested that always keep in touch with your doctor while using Amoxicillin and Clavulanic Acid or any kind of medicines. Inform your health condition time to time to your doctor to avoid any kind of side effects. However, you should keep in mind that every medication has its side effect. But at the same time, you must remember that the utility is more than its side effects. You may like my other post. Click Here to read. 1). If you are allergic Penicillin or Amoxicillin or any kind of medicines, tell your doctor before taking Amoxicillin and Clavulanic Acid. 2). If you are using any kind of prescription or non-prescription drug, tell your doctor about that. You should also discuss with your doctor if you are using any kind of herbal product. 3). If you have liver or kidney problem, tell it to your doctor before taking Amoxicillin and Clavulanic Acid. You must tell if you have asthma. 4). If you are a lady and you are pregnant, it is vehemently suggested you tell it to your doctor. It is also highly recommended to tell it to your doctor if you are planning to be pregnant in near future. If you are breastfeeding mother then tell it to the doctor with whom you are consulting. 5). If you are using any kind of birth controlling pills, you must tell it to your physician. Because Amoxicillin and Clavulanic Acid may decrease the efficiency of oral contraceptives which we call birth control pills in our native language. 1.Probenecid – Probenecid can lower down the renal excretion of Amoxicillin. But it cannot detain the renal secretion of Clavulanic Acid. Simultaneous use may result in the growth of blood absorption of Amoxicillin. So, co-administration of Probenecid is not suggested or recommended. 2. Oral Anticoagulants- As per International Normalized Ratio (INR), it has been reported that the patient taking Amoxicillin and Oral Anticoagulants unusual or abnormal prolongation of Prothrombin time extended. Therefore, proper care and monitoring are highly recommended while taking Amoxicillin and Clavulanic Acid with Anticoagulants. The patient must consult with his or her doctor if any abnormality found. 3. Allopurinol- The parallel use of Allopurinol and Amoxicillin has the probability of increasing the incidence of rashes in the person taking both of them compared to Amoxicillin only. However, there is confusion whether the rashes occur due to Allopurinol or Hyperuricemia exists in the patient. 4. Oral Contraceptive- Amoxicillin and Clavulanic Acid may have the chance to affect intestinal flora. On that condition, the re-absorption of estrogen has been reduced and lowers down the efficiency of Oral Contraceptive. 5. Laboratory Test Effects- While using Amoxicillin and Clavulanic Acid some laboratory test may be affected. So, consult with the laboratory personalities before doing any test. If the patient who is taking Amoxicillin and Clavulanic Acid has overdosed, stop taking it immediately and consult with the doctor or pharmacist as soon as possible. If some abnormalities found, the patient must be hospitalized without delay. If the patient taking Amoxicillin and Clavulanic Acid miss dose, he or she must take it as soon as he or she remembers it. If the time is near the next dose, forget the previous dose and continue with the next dose. Always store the medicines at room temperature. Don’t store it in the bathroom or in the damp place. Keep it away from your pets or children. Good article for every people. This post will bring some information to every people who wants to gain some knowledge in medicines.Thanks for publishings such article. Good article on amoxicillin and potasium clauvanate tablets . I appreciatee your work. Thanks for publishing such article. Very good article for every body. I like it very much. Thanks a lot for publishing such article. I just want you to publish such article regularly. It will help us.